Dr. Ogunro is an Associate Professor of Civil Engineering and a faculty fellow of the Global Institute for Energy and Environmental Systems at the University of North Carolina-Charlotte. His research interests and activities are in areas of: reuse of waste materials in constructed facilities, durability of leachable aggregates, pressure dissolution and contaminant leachability, temperature and heat change effects on soil/contaminant physico-chemical interactions, the risk and reliability assessment of waste containment systems, soil/inclusion interaction, geoenvironment and sustainable development especially in developing world. His ongoing research efforts include: long-term performance of bottom ash in asphalt concrete, stress-induced leachability/dissolution of discrete particulate waste materials and aerobic bioreactor landfill research. Some of his recent projects have been sponsored by the National Oceanic and Atmospheric Administration (NOAA) and the Federal Highway Administration (FHA)/the Massachusetts Highway Department (MHD). 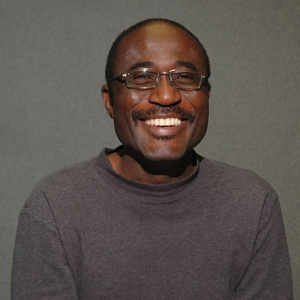 Dr. Ogunro is the author/co-author of 15 technical journal papers, conference papers and reports. Dr. Ogunro has extensive experience in electrical energy development. From 1983 through 1989, he worked as a Senior Project Civil Engineer representing the National Electric Power Authority (NEPA) of Nigeria on various projects. He has supervised construction of electric power generating stations, transmission lines, and distribution systems. Dr. Ogunro is the secretary-general of the International Society of Environmental Geotechnology (ISEG) and was the organizing secretary of the 4th International Symposium on Environmental Geotechnology and Global Sustainable Development held in Boston (Danvers), Massachusetts, USA, from August 9 –13, 1998. From 1999 – 2000, he served on the science advisory board of the annual international conference on contaminated soils and water. Dr. Ogunro holds Ph.D and Diplôme d’Etudes Approfondies (D.E.A.) degrees in Geotechnical Engineering from the Institut National des Scieces Appliquées (INSA). Dr. Ogunro is also fluent in French.